On the recent trip to Bangkok, we picked to stay in one of the hotels from Intercontinental Hotel Group (one of our trusted hotel group). 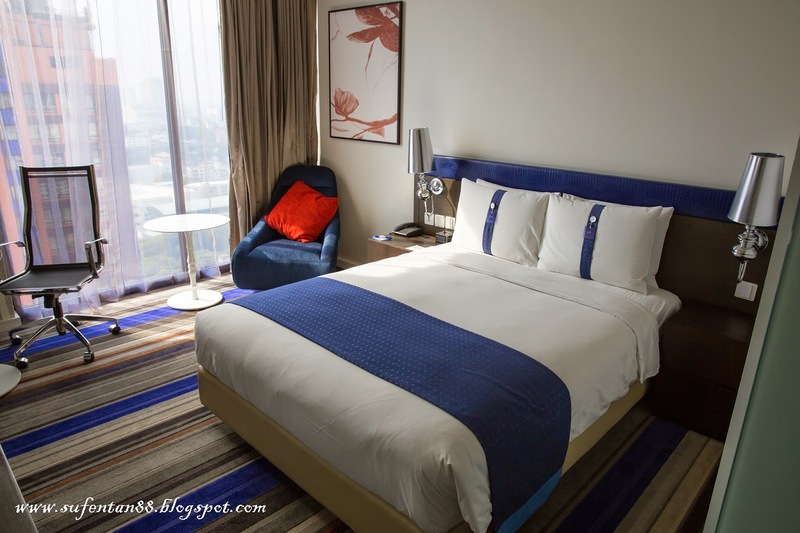 There are around 9 hotels from IHG in Bangkok, and we decided to try out their latest hotel which is Holiday Inn Express Bangkok-Siam. 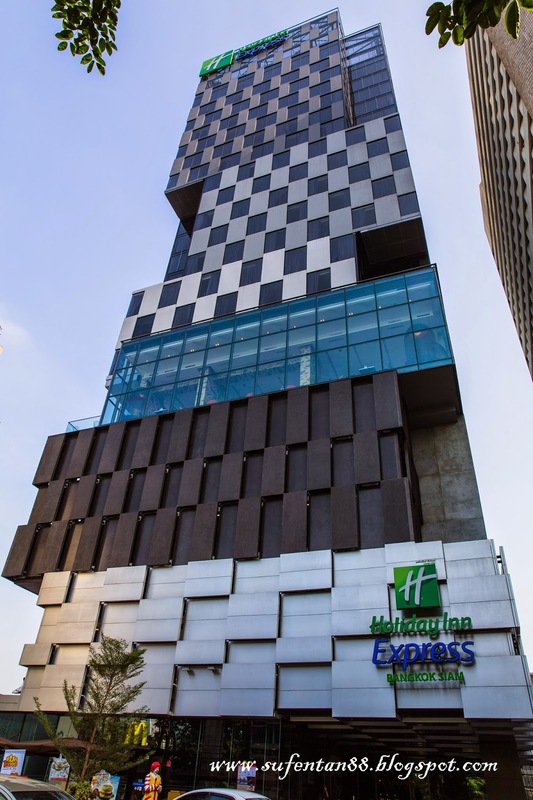 It is located at the Siam area, 2 mins walk to the BTS: National Stadium Station which is very convenient to most of the shopping malls like MBK, Siam Paragon and Siam Centre. We booked the superior room with the IHG® Reward's Club member promotion price. 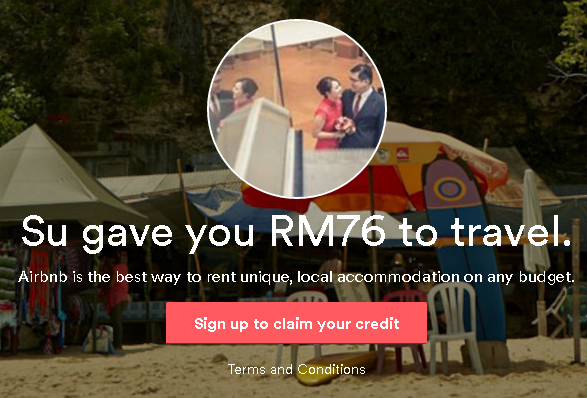 It costs around RM230 per night and the room rate included breakfast and free wifi. 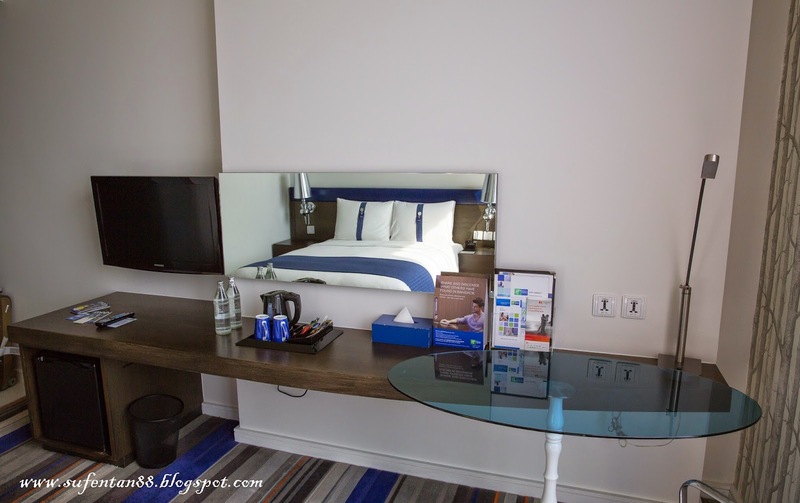 We were quite surprise on the size of the room, it is small compare to other Holiday Inn/Holiday Inn Express hotel in other countries that we have stayed so far. We love their soft and firm pillows that you will always find from their hotels. It is quite standard. There is a flat screen tv, refrigerator, electric kettle, two bottle of water and some instant coffee and tea provided in the room. In the morning, we went to their breakfast area to have our breakfast. 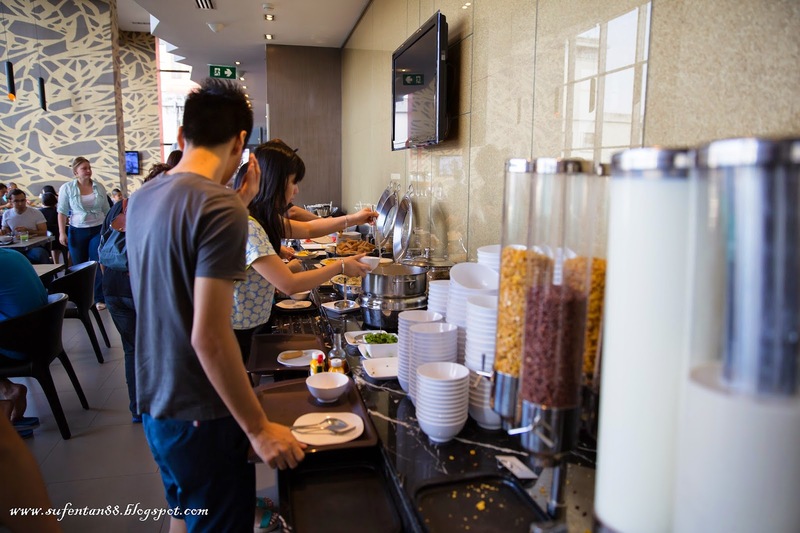 They served very simple breakfast like bread, pastries, juices, fried rice/noodle. 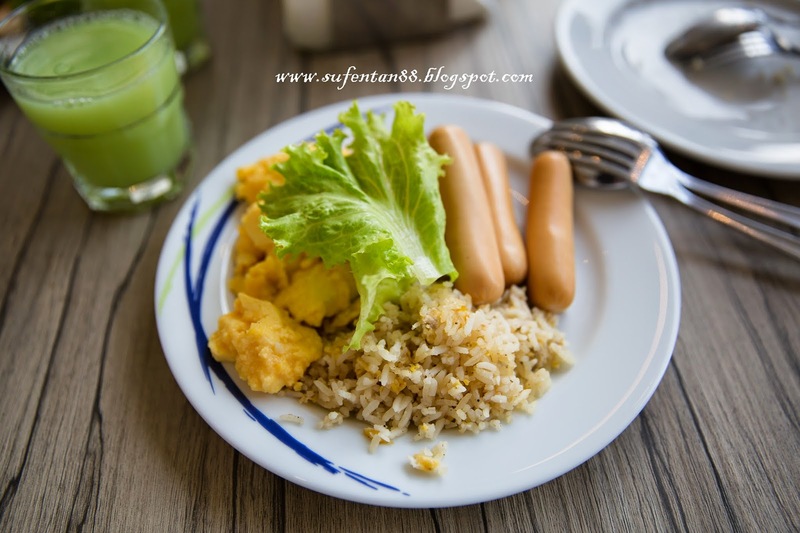 sausages, salad, porridge, omelette/scrambled eggs and cereals. Basically, it is everything I have mentioned above and the choices are the same everyday, they will only change a few dishes alternate days. For those who is rushing and unable to dine-in, they also provide utensils for grab and go option. My simple breakfast of the day-fried rice,scramble egg, sausages, salad and a cup of guava. 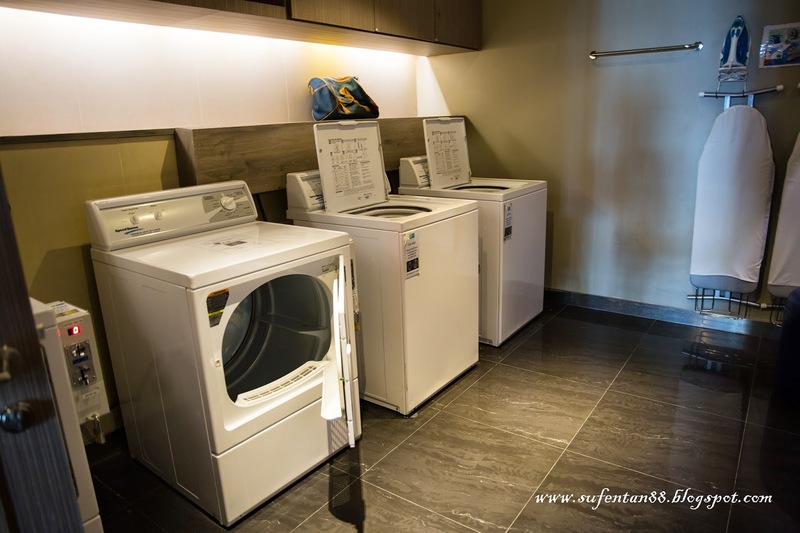 Although there isn't any laundry service in the hotel but they do provide a self service laundry facility opposite the breakfast area where it is open for 24 hours. Last but not least, there is a 24 hour Mcdonald in the hotel! 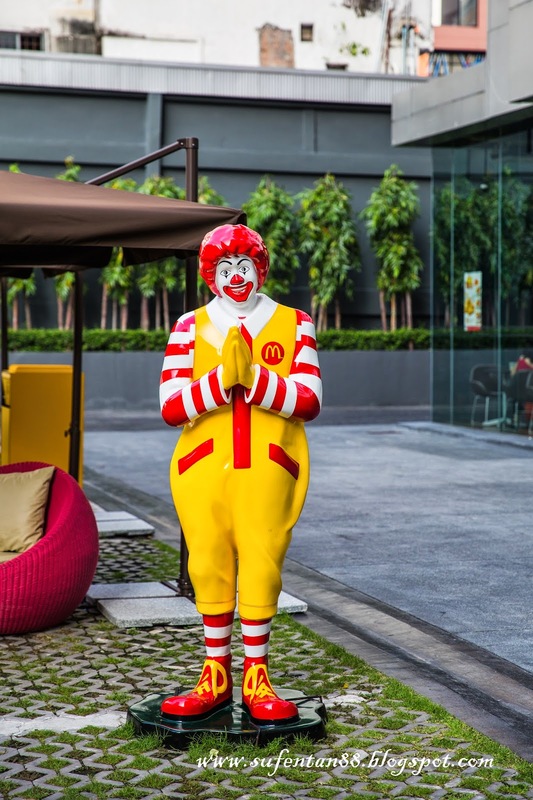 If you are bored with the hotel breakfast or need some supper at night, there is always uncle Mcdonald here to serve you. I quite like the location of the hotel, it is quite convenient to all places and easy to communicate with the taxi drivers as most of them know the place. Although I personally think this holiday inn express didn't really up to the IHG standard, but overall the room is still nice and clean.